This may hold true to many refilling stations, but sad to say, many others do not even comply with the standard and regulations in maintaining the said business. Majority of our water refilling stations on record is not consistently compliant with the process for certification required by the concerned government agencies. Furthermore, one is not sure if those five-gallon containers are thoroughly cleaned, carefully handled or properly stored. The safety of the drinking public now becomes uncertain. Hydration in fact and is even backed up by science to be above all important. Water makes up about two thirds of who we are, and influences 100 percent of the processes in our body. So who can guarantee safe drinking water for the family? 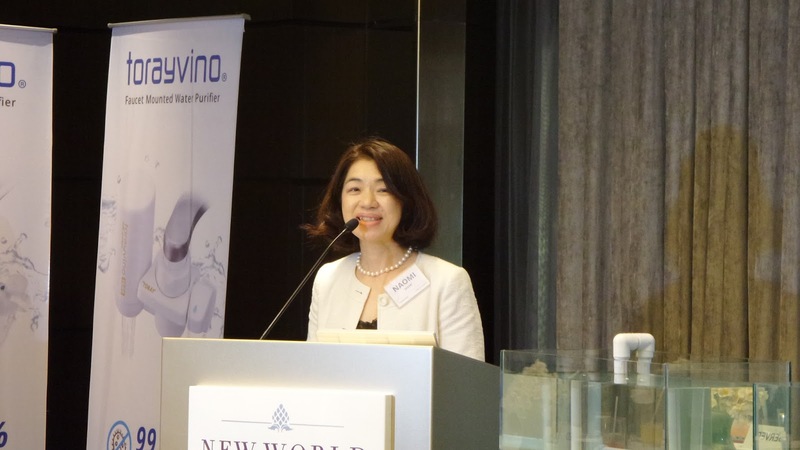 Introducing the Torayvino Water Purifier––a market leader in Japan, with a filtration technology that boasts of a 99.99-percent bacteria removal feature––thanks to its four-stage purification system. 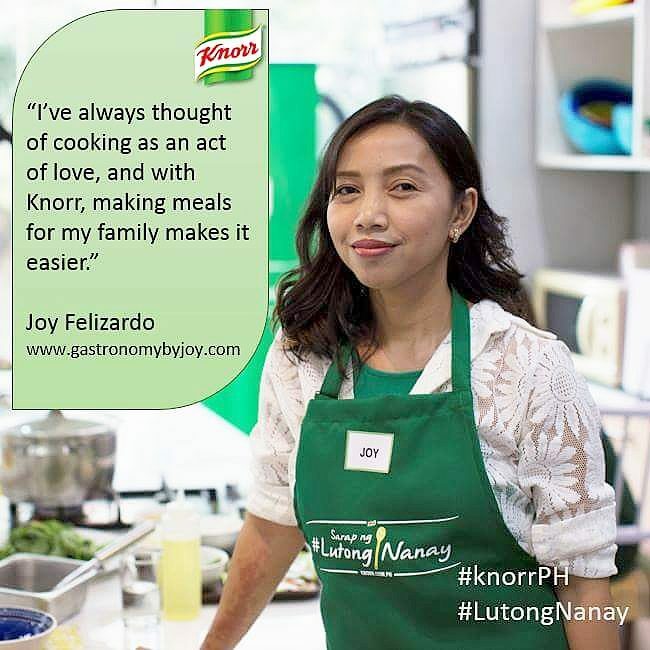 I'm glad I came to know about the product at the launch held last March 30 at the Glass House, New World Hotel. 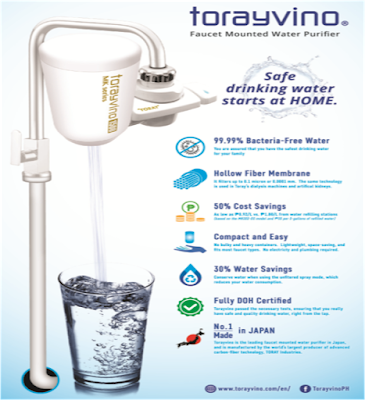 Torayvino Water Purifier is manufactured by a diversified company called Toray Industries, Inc. with presence in Asia, Europe, Middle East, North America, Central America and South America. This is the leading brand in Japan, with 66 percent share of the market for the faucet-mounted type. 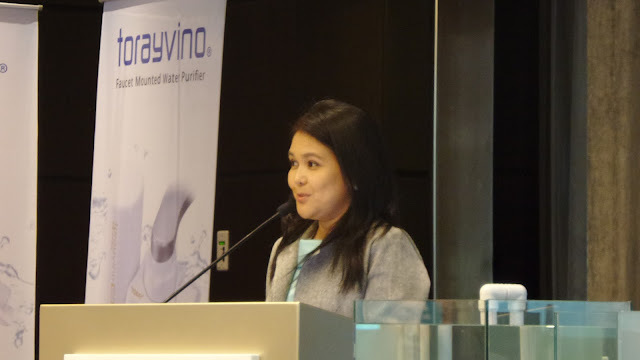 The best part of this is that Torayvino Water Purifier conforms with the Japan Industrial Standards and is also certified and approved by the Philippine Department of Health. 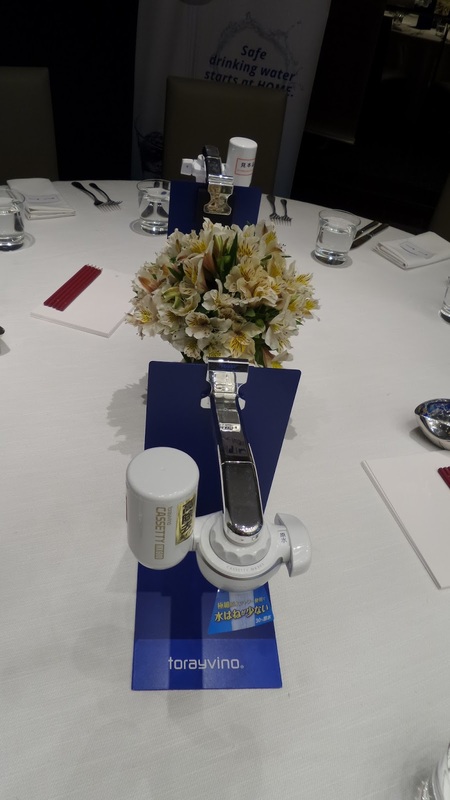 Distributed in the Philippines by Moduvi, Inc. it is now available in modern hardwares like True Value and All Home, as well as condo-partners. But, how good does it work? Initially at the pre-screen process, impurities bigger than 465 microns, such as rust, sands, sediment and particles are removed. Those bigger than 114 microns will then be taken away in the second screen. Next, the water will pass through the granular activated carbon, which efficiently removes residual chlorine, harmful chemicals and bad odor. Finally, the optimal hollow fiber membrane structure removes contaminants larger than 0.1 micron, such as bacteria and other microorganisms,rust, turbidity, and microscopic impurities. Such technology, which is likewise used in dialysis machines and artificial kidneys, provides low elution and high flow rate of water. While it undergoes a stringent filtration process, calcium, magnesium and other essential minerals are retained. 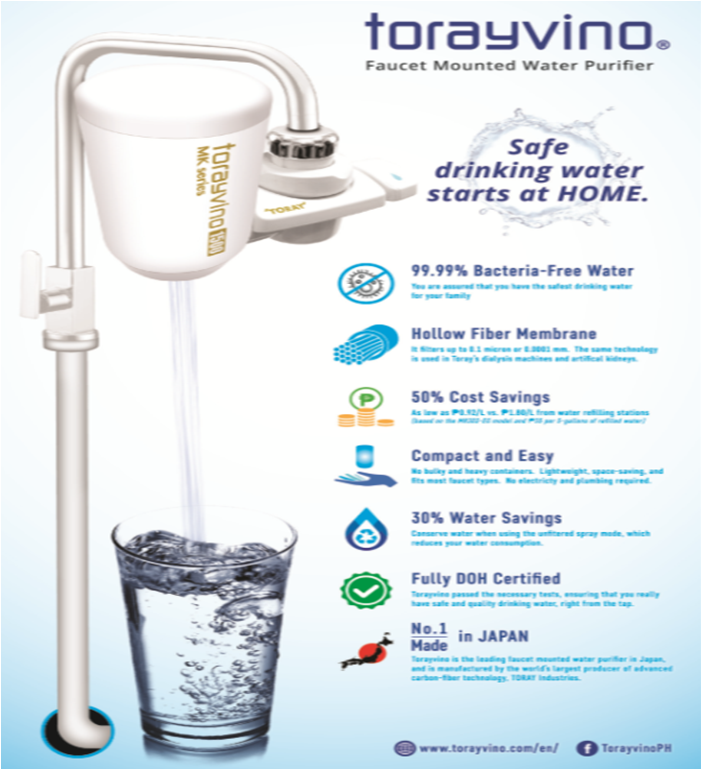 Moreover, Torayvino Water Purifier is easy to install, with no plumbing required. 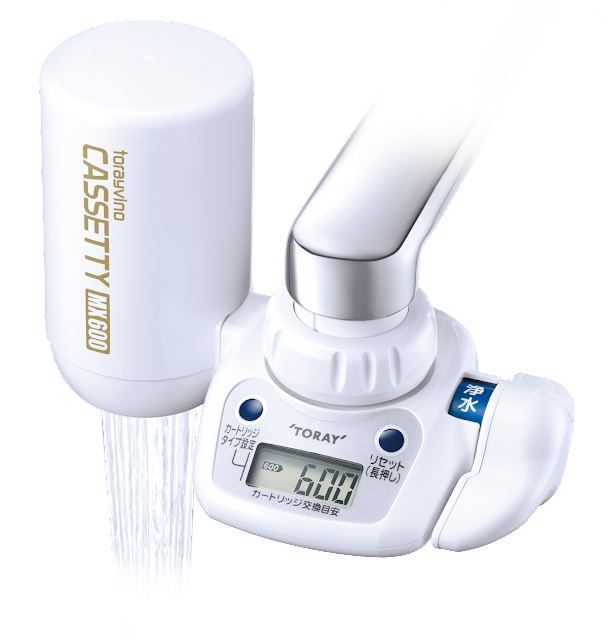 Attachments are provided to fit most of the faucets available in the market. Unlike other water purifiers, it's space-saving, compact and is even portable, perfect for condo-dwellers, especially those who live in smaller units. 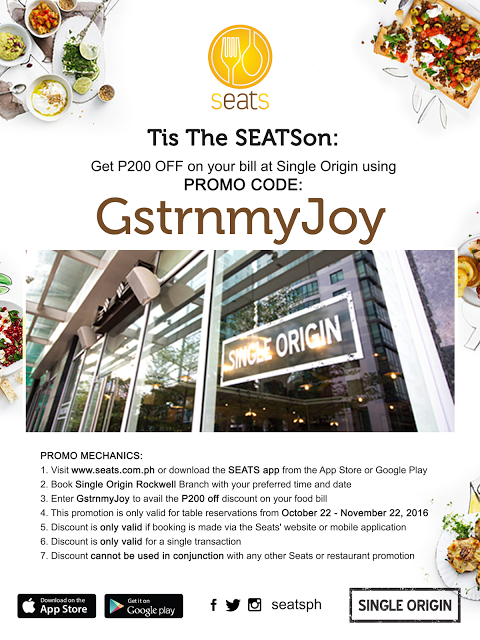 It comes in four models, with prices ranging from P1,980 to P4,980. 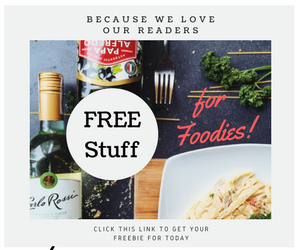 Are you ready to stop worrying about ordering purified water, save money and ensure your household with 99.9 % bacteria-free drinking water right from your kitchen faucet? This is a very nice post. This is a great review. This is a very good product. This product help us to cleaned up water. Thank you for sharing this informative post with us. One such appliance created by Atmospheric Water Systems, Inc., Useful reference uses a four-stage water filtration system in order to remove the slightest of impurities. These filters have different price range depends upon the quality of the product. 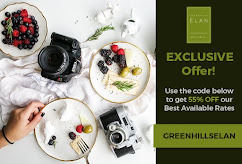 It starts from $129.99 and go on to hundreds of dollars but the best portable filter in a good price after Discount 60% OFF On Worlds Best Water Filter.